How's that for an exciting title? Sometimes you just have to state the obvious. 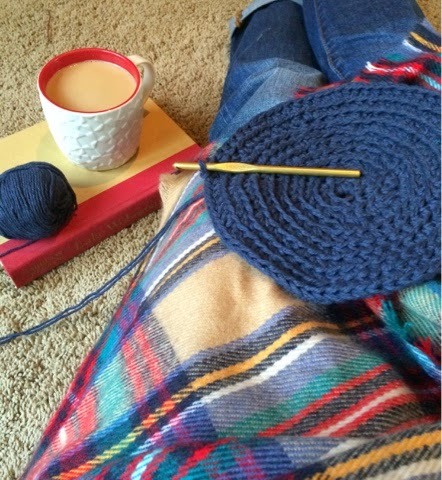 I used to crochet constantly. I think I burned myself out. Lately I've missed having a project. 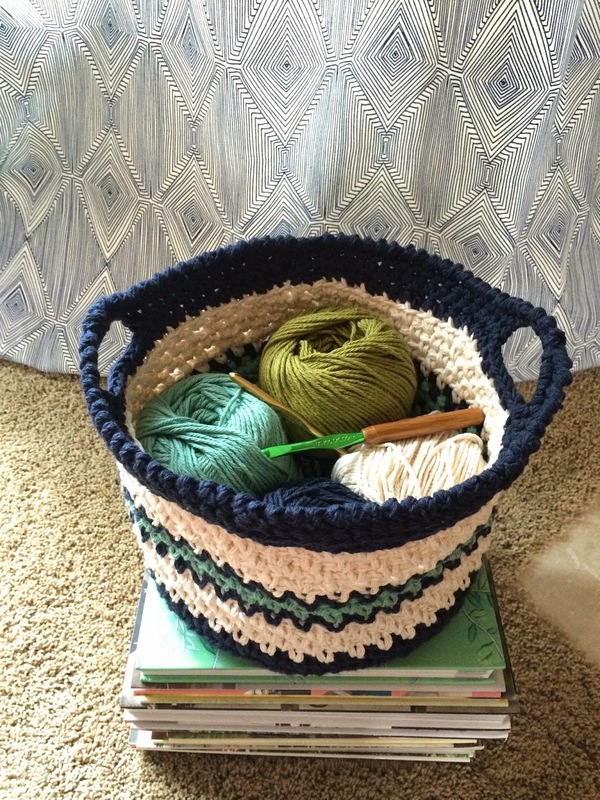 I started this basket Monday night. This girl is always happy when I bring out the yarn. How CUTE! 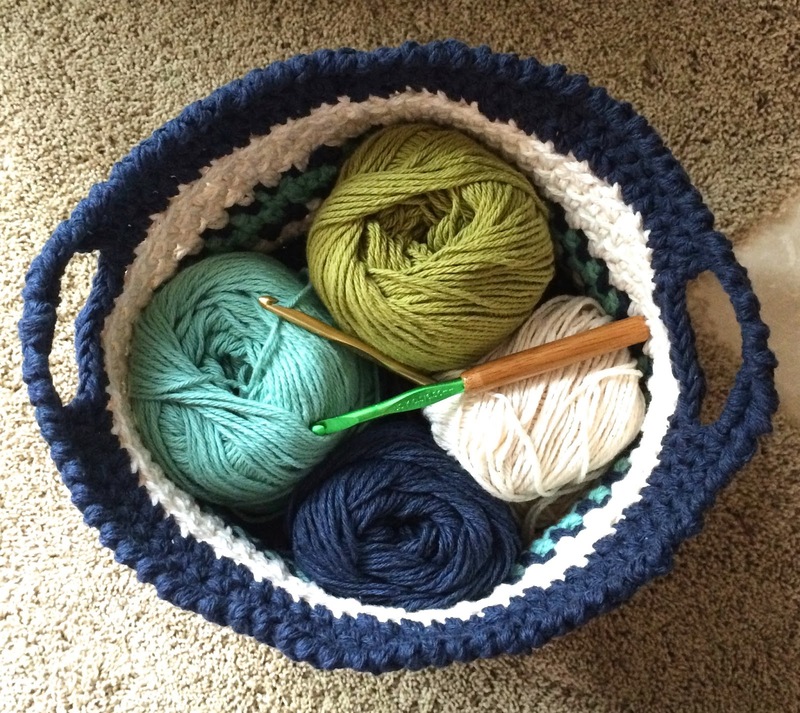 I have crocheted on and off since I was young...my Grandma taught me. 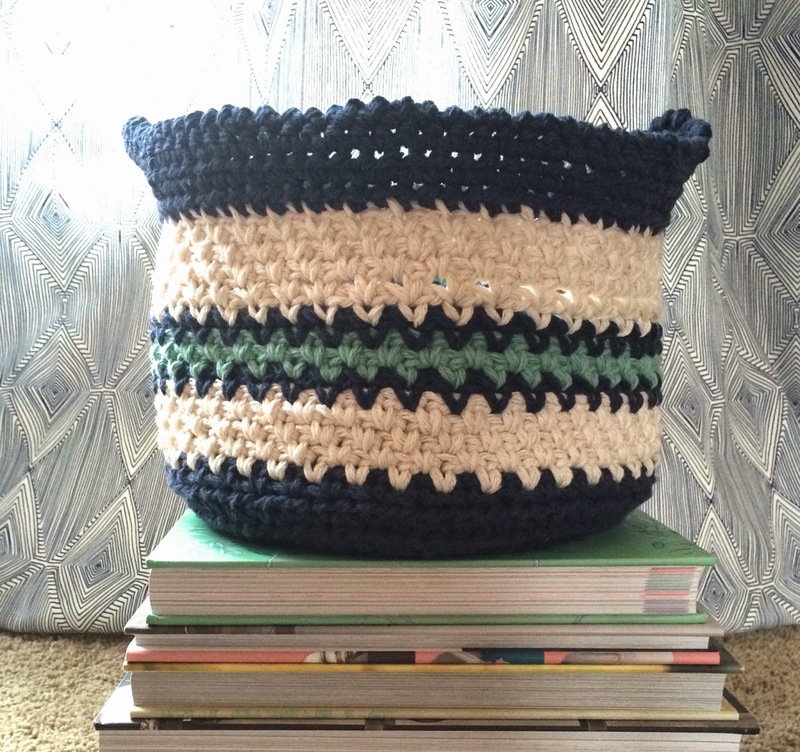 I've never seen instructions for how to crochet a basket though! Poppin' over from 31dayer FB page. Oh! How cute!! I've done a tiny bit of crocheting myself (made a couple headbands and started a laptop case) but haven't picked it up in a few months. I really need to. Do you work from patterns or make it up as you go? I use a pattern initially, but usually mold it into my own creation. I go in waves of creativity when it comes to crochet. A laptop case sound like a great idea! Do You Dress The Way You Decorate?